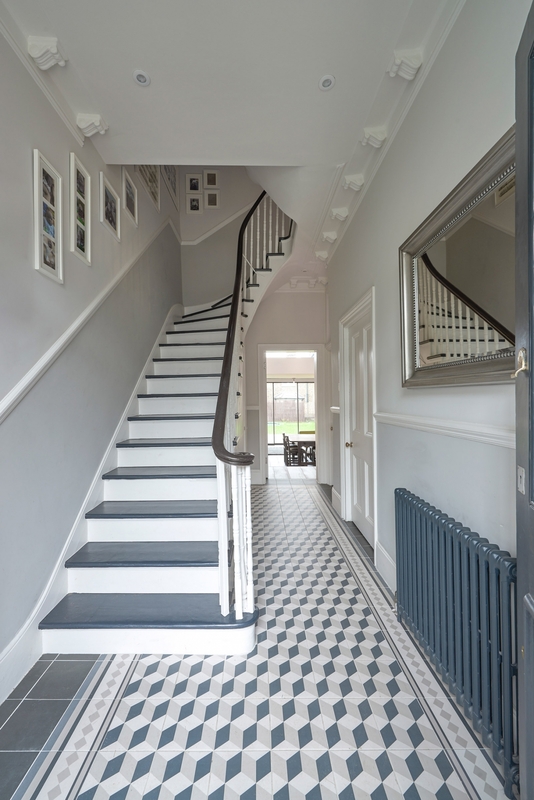 We were appointed in 2015 to transform the ground and first floors of this generous Victorian semi-detached house in Peckham Rye. 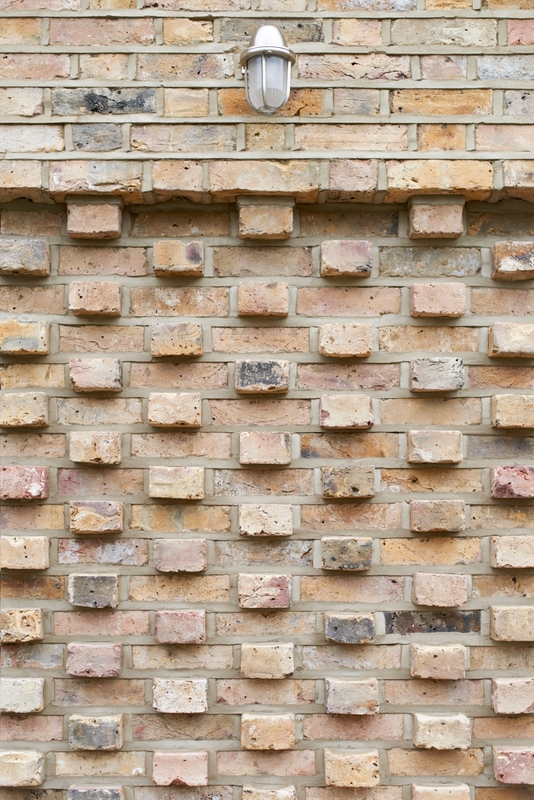 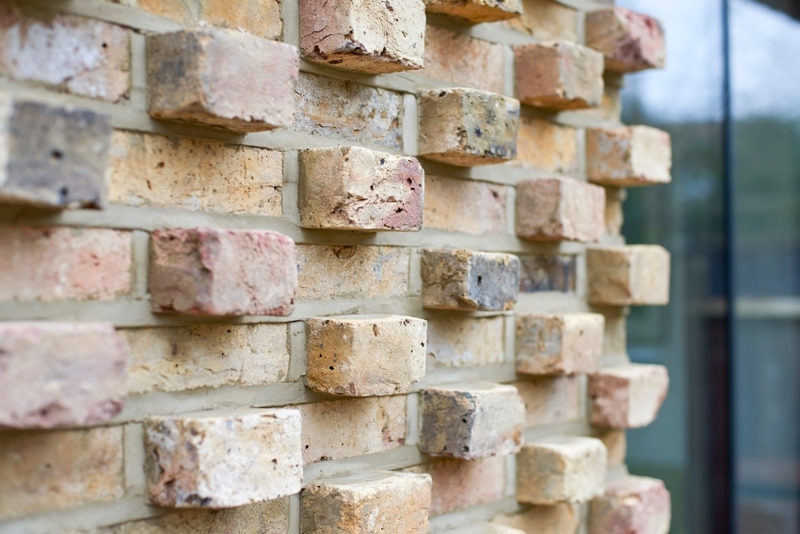 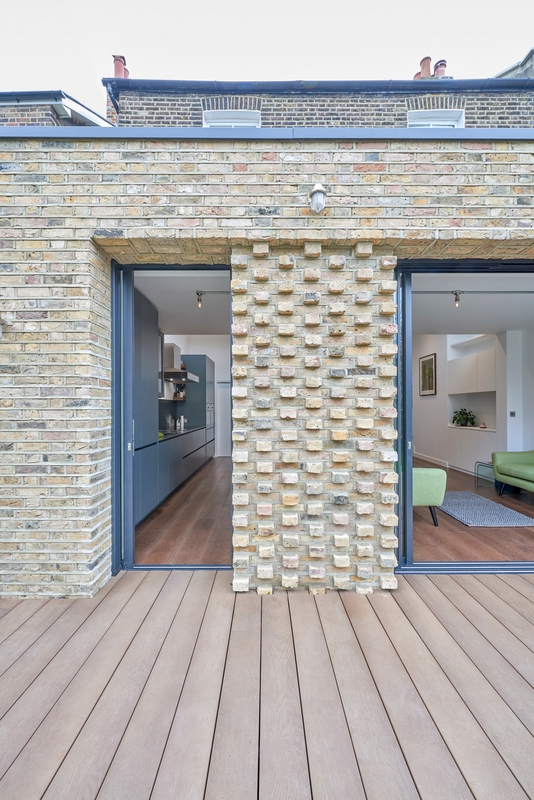 Our scheme included a full width rear extension, using reclaimed bricks to create a textured facade with depth and interest. 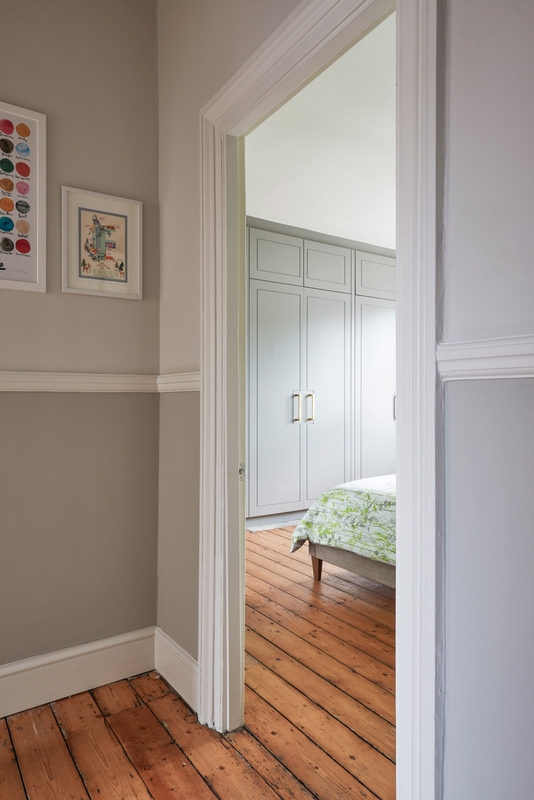 The pair of pocket doors added further interest to the scheme as they all disappear when opened up. 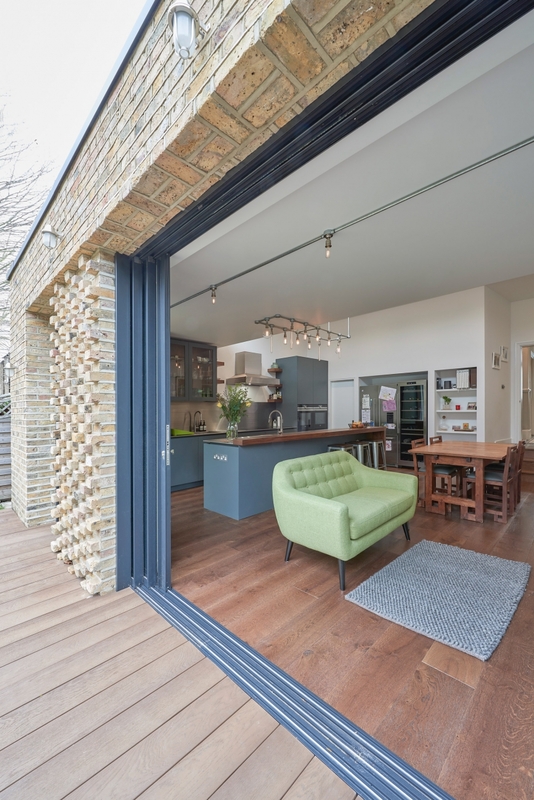 The extension sits lower than the existing ground floor ceiling, allowing a clerestorey window to be installed across the full width of the property, giving light to the back of the space, and a view of the wildflower roof. Elsewhere in the property we reconfigured and refurbished the family bathroom, creating a master suite including bespoke joinery. 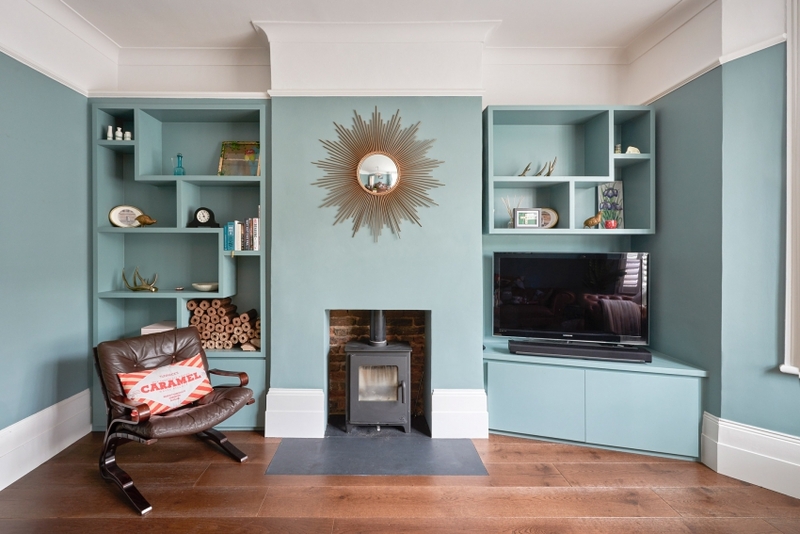 We improved noise transfer problems with innovative spray foam insulation, and we installed a woodburning stove & bespoke joinery to the reception room. 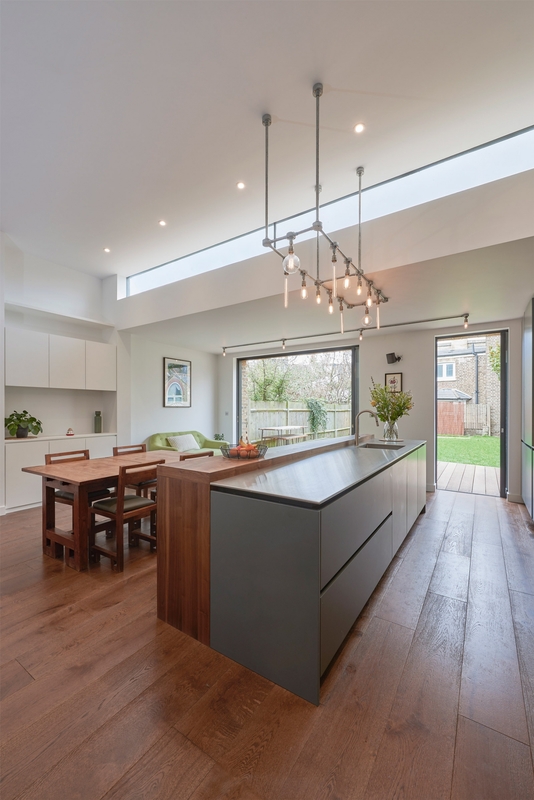 The project finished in 2017, and has been shortlisted for the LABC awards for Best Alteration to an Existing House in London.